This comprehensive 150 hour course runs on a continuous basis and new students are welcome to join in at any time. In addition, students are encouraged to re-sit any or all of the course upon completion at no extra charge. Feel free to visit us and sit in our ground school few times for no charge . 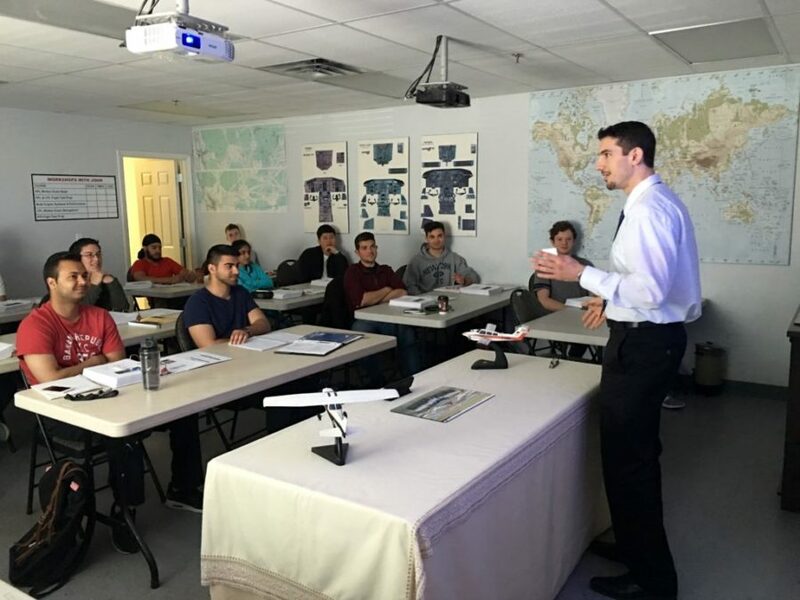 Then if you like to register with us, the price for the Professional Pilot Ground School is $750. You may join us by simply emailing us directly or through online contact form. You may join us by giving us a call at 604-952-4635. Click here to view full Ground School syllabus.